First dates are hard. One has to leave a good impression if one wants another date. Found these guys having a nap on the same bench even though there is a totally open bench right next to them. That one guy is going to wake up with a horrible neck ache. It helps to have a workout partner. Synchronized sit-ups! It’s the perfect place to have a nice chat. Yes, perfect. 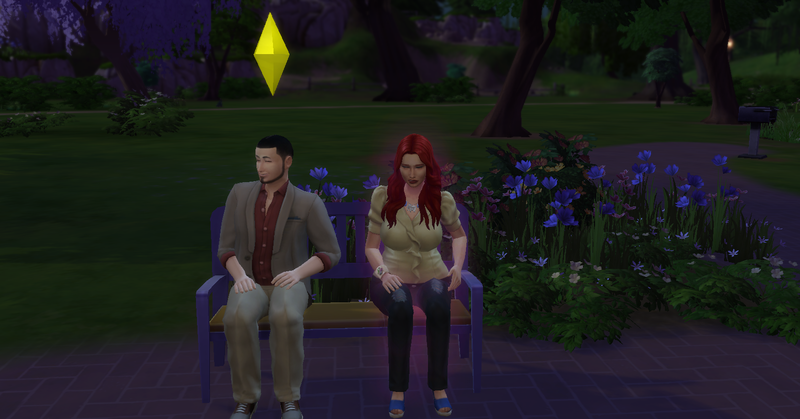 I attempted to do the Sims 4 Asylum Challenge. 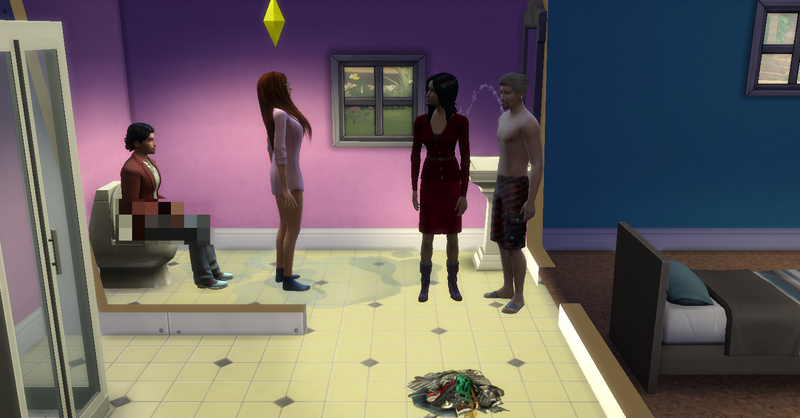 I gave up because my sims kept dying of embarrassment. Then, their ghosts would constantly break everything; toilet, shower, sink, fridge, stove and TV. My poor Sim had a hard time working on her LTW, kept having to fix everything. 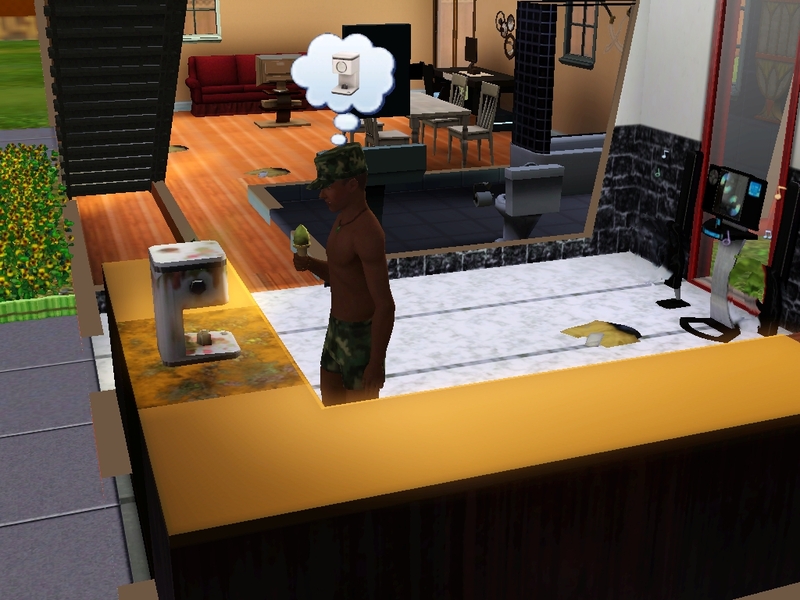 So, I got an ice cream maker for the Sims 3. It’s the best thing ever! 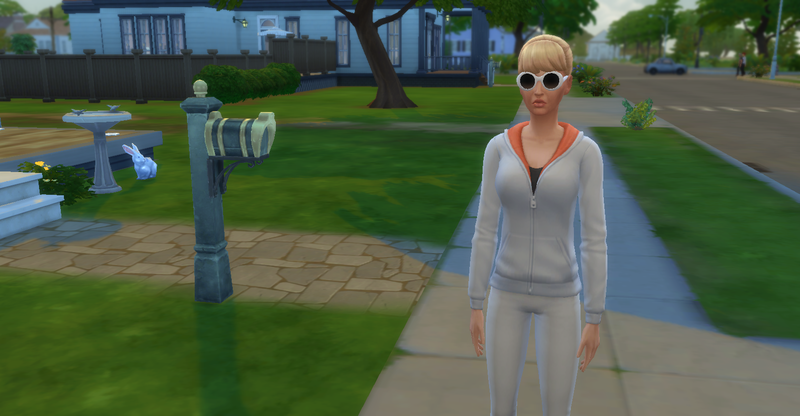 There’s only one problem…I think someone told everyone in the neighborhood that my sims have an ice cream maker because random sims show up and eat ice cream. My guys had a bachelor party that lasted till 5am. They went home and one of the party dancers showed up, yelled and banged on the door. One of my guys let him in and the party dancer went straight to the kitchen and made ice cream. What on Earth?! My guys don’t even know you. Ignore the filthy counter, its hard to keep clean when everyone stops by for ice cream. Don, I’m pretty sure that’s not how you get the ladies.